Barbara has produced and written documentaries and nonfiction shows and series for HBO, Showtime, Lifetime, TLC, KCET, The Discovery Channel, UPN. Lifetime, Fit-TV, TBS and HGTV. 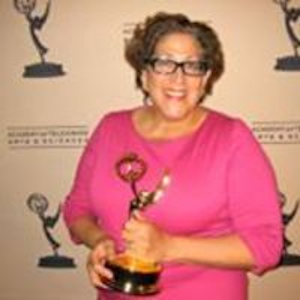 She won a 2013 LA Area Emmy for her work on the television series and web series, “Your Turn to Care” that was also the winner of a 2013 Gracie Award. Barbara has produced and written two films for the acclaimed PBS documentary series, “Independent Lens.” “Taking the Heat The First Women Firefighters of New York City,” a documentary narrated by Susan Sarandon, is about the 20-year struggle to bring women into the New York Fire Department, an institution traditionally hostile to change rocked by the overwhelming trauma and loss of September 11th. The second film, “Paul Conrad: Drawing Fire,” narrated by Tom Brokaw, tracks the career of three-time Pulitzer Prize-winning editorial cartoonist in the context of pop history of the eleven presidents Conrad has lampooned. She is currently completing a feature documentary about an orchestra for people living with mental illness. Barbara has taught documentary courses at New York Film Academy and ESE Film Workshops, and writing at Urban Possibilities ,supported by a grant from the Poets & Writers Foundation. She is a graduate of the California Institute of the Arts, a former Chair of New York Film Academy’s Documentary Department and former Chair of the Documentary/Reality Committee of the Producer’s Guild of America. Click the button to see the books, e-books, DVDs and training programs Barbara has created.